Can we have a GEO Initiative on a common approach to Essential Variables? 08:30-10:00 Can we have a GEO Initiative on a common approach to Essential Variables? The concept of Essential Variables (EVs) is increasingly used in Earth observation communities to identify those variables that have a high impact, high feasibility and relative low cost of implementation. The community of GCOS was the first to develop a full set of Essential Climate Variables (ECV). Other examples of communities applying the same concept are oceans (EOV), biosphere (EBV), water cycle, etc. ConnectinGEO illustrated that EVs can be a useful approach to several indicators for monitor SDGs. ERA-PLANET GEO-Essential proposes a need to review and extend the current EV framework and a priority assignment in designing, deploying and maintaining EV in connection with the responsible observation networks. At the same time, EVs should be promoted among all SBAs in GEO. In this event we will invite a panel of experts to discuss about the current status of the EVs, the usefulness of some of them in creating SDG indicators and the gaps to be solved in communities in the near future. Finally, we will define a roadmap to create a new community initiative about EVs in the future GEO work program. The importance of sustained EO data and innovative EO-based services becomes even greater in a period marked by the advent of Big Data – spearheaded by Copernicus free, full and open data policy, and the emergence of new business models. In this context, the goals of the workshop are to discuss on different approaches, best practices and current plans around the coordination of EO activities at regional level, to find the way to move towards the sustainable delivery of EO services and products, to measure the benefits of EO and to communicate them to relevant stakeholders and to find ways to design long-term, high-impact actions for the uptake of GEOSS and Copernicus. Asia Oceania Day: "Fostering synergy among Regional GEOSS Initiatives"
08:30-18:30 Asia Oceania Day: "Fostering synergy among Regional GEOSS Initiatives"
The concept of the Asia Oceania Day is ”Fostering synergy among Regional GEOSS Initiatives”. This session is hosted by ASIA-OCEANIA GEOSS (AOGEOSS) Initiative, a regional cooperation program in ASIA-OCEANIA region, and welcomes people who are interested in regional cooperation in GEO Community. The event is divided into the following two parts. The First part of the event introduces activities of AOGEOSS Initiative such as highlight of Asia Pacific Symposium, the report about the Earth Observation supporting Pacific Island Nation and emerging case study of the Mecon basin. Second part of the event focuses on National and Regional GEO and has two panel sessions with guests from National GEO and other Regional GEOSSes(RGs) such as AfriGEOSS, AmeriGEOSS and EuroGEOSS to discuss what function is expected to develop Regional GEOSS etc. This side event provided a platform for GEO Work Programme Flagships, Initiatives and Community Activities to showcase specific actions, projects and other relevant activities in support of the U.N. 2030 Agenda for Sustainable Development. The event enabled the sharing of approaches that build on GEO's strengths and demonstrate the essential contribution of Earth observation data and geospatial information to support sustainable development at global, regional, and national levels, and within local communities. What are examples of successful methods adopted by countries for monitoring and reporting on the SDGs, and how can these be scaled up to enable widespread, sustained use by countries? What are examples of existing, and forthcoming, initiatives, tools, and technologies, aimed to enable greater use of EO and geospatial data for sustainable development? How are the GEO Work Programme activities organize, in coordination with EO4SDG, to further help GEO align its engagement with the UN 2030 Agenda for Sustainable Development, and what are examples of efficient approaches that support the SDGs, targets, and indicators? ECOPOTENTIAL is a large European H2020 project focused on the use of Earth Observation (EO) data for monitoring natural ecosystems in a number of European and a few non-European protected areas spanning a wide range of biogeographical regions. ECOPOTENTIAL is a major contributor to the GEO ECO Initiative and to EuroGEOSS. The ECOPOTENTIAL project intends to analyse long-term and present environmental changes that affect the health state of ecosystems and the services they provide, to address future conservation scenarios. Value added products, essential variables from EO as well as meteoclimatic data are ingested into suitable modelling approaches. Major findings useful for reporting on SDG 15 will be discussed. Building on last year’s successful side event “The role of Citizen Observatories and Crowdsourcing Community in GEOSS,” this meeting will delve more deeply into how the GEO community can benefit from incorporating citizen science (CS) methodologies more widely. Contributors will: (1) discuss activities already underway to advance the established GEO work plan, (2) consider how GEO can strengthen their involvement in and support for citizen science through partnerships and emerging endeavors, and (3) discuss concrete next steps for advancing citizen science through GEO. 13:45 – 14:15: Lightening talks—What’s new since the last GEO Meeting? What is the role of regional networks? The existing research infrastructures on terrestrial ecosystems provide throughout the world an extensive network of field stations. Their long-term observation of diverse ecosystems delivers critical knowledge to address complex issues related to climate change and biodiversity loss. Lacking overview and coordination of the distributed physical network has so far hampered standardization and collaboration in globally assessing the state and trajectory of ecosystems, specifically building on integrated RS based and in-situ data. Therefore, GEO is an ideal framework for inventoried next-generation well instrumented sites, standardized protocols, open data sets, calls for a collaborative scientific approach in working on data from multiple sources. Such frontier science is needed to inform policy-makers & planners responsible for sustainably managing ecosystems. While serving the work program of GEO, this coordination effort will benefit from GEO’s leverage potential through its member countries. This side event introduces the current works of GEO Cold Regions Initiative for 2017-2019 This initiative has the geographic coverages are Arctic, Antarctic, high-latitude oceans, and Himalaya-third pole and high-mountain areas. This side introduces also coordination of observation for Arctic and Antarctic, and international /national projects. GEO has made significant progress in advancing the accessibility and interoperabiity of data in GEOSS through its efforts to support implementation of the GEOSS Data Sharing and Data Management Principles. However, more needs to be done, especially in the areas of strengthening national capacity for data sharing, facilitating seamless integration of data (including legal interoperability), and improving the trustworthiness of data, metadata, and services. This session provides the opportunity to learn about the new implementation guidelines for the post-2015 GEOSS Data Sharing Principles and a planned survey of national data sharing approaches and capacities. The Data Sharing Working Group welcomes feedback from the GEO community as well as participation in its planned activities. International commitments such as the Sendai Framework for Disaster Risk Reduction commit National governments to create and implement national and local disaster risk reduction strategies. As part of this, they are increasingly having to make decisions on the sources of data, and types of information that they need. The many interconnected systems and approaches available can be enhanced through the use of accessible and interoperable data. The Sendai Framework is one of the priority engagement areas for GEO, and this session will have two distinct parts. The first “Earth observations for disaster risk reduction” will concentrate on showcasing the activities within the GEO Work Programme which are relevant to disaster risk management. The second part of the session will be forward looking, and will consider “Innovative technologies for disaster risk reduction”, including tools and technologies currently being developed. Objective: to provide an overview of some of the successes made in GEO Work Programme activities, and priorities towards the Sendai Framework for Disaster Risk Reduction. Objective: Reporting and measuring of the Sendai Framework requires a new and innovative approach to understanding, measuring and reducing risk. This session will focus on the innovative ways Earth observations are being used, and the technologies that are enabling this change. Please note that there will be a short break between the two sessions. As part of the ‘Sustainable Mountain Development for Global Change’ (SMD4GC) program of the Swiss Agency for Development and Cooperation, the Mountain Research Initiative (MRI) is leading an effort to assess sustainable mountain development (SMD) using the Sustainable Development Goals (SDGs) framework. Spatially disaggregating SDGs to subnational or transboundary units of space, such as mountain regions, and applying indicator subsets as means to monitor their status, are two emerging considerations relevant for reporting on SMD. In this session, we propose to examine these and other advances and challenges related to the monitoring and assessment of SDGs in mountain regions though tools and data available via GEO Flagships and Initiatives. The session is organized by the ERA-Planet Consortium that has funded SMURBS, GEO-essential, IGOSP and iCUPE projects dealing with Smart Cities & Resilient Societies, Resource Efficiency & Environmental Management, Global change & Environmental treaties and Polar Areas & Natural Resources, respectively. The projects demonstrate how common technological approaches, based on Earth observation data and interoperability, can be applied to different regions and scales to address an array of diverse themes. The Role of Geospatial data in the achievement of the 2030 Sustainable Development Goals. In November 2017, OpenStreetMap statistics indicated that there are 4.3 million users with over 3 million changesets per day on OpenStreetMap. This positive impact can not only be attributed to crowdsourcing initiatives by various spatial communities like OpenStreetMap and YouthMappers local chapters, but also to the availability of geospatial software and high resolution satellite imagery. This, therefore, leads to the greater availability of open spatial data with uses in academic research, navigation, emergency response and various applications. Geospatial information is important in developing solutions to real-world problems since all problems are location-based hence all solutions should be location-specific. This event will include an open discussion on how geospatial information has and can be used in the achievement of the 2030 SDGs and a mapathon. The purpose of the side event is to communicate the recent advances in ecosystem accounting, the EO4EA intiative and how the effort will contribute to sustainable development. The side event will highlight case studies and priorities and opportunities for ongoing applied research. The event will also provide a venue to explore collaborations and synergies between the EO4EA initiative and other GEO programs. The outcomes of the side event will guide research within the focus areas of EO4EA and further identify key GEO partners. This session will take you the progress EuroGEOSS has made during its one-year existence. It will tell you about its achievements, the possibilities that lie ahead for actors in the European field of Earth Observations and it will explore ways and means to integrate EuroGEOSS within the overall Global Earth Observation System of Systems. Speakers from different backgrounds will tell you about their experience with EuroGEOSS and the future opportunities EuroGEOSS can offer. 2.1 This Panel session will present Plenary with an overview of GEO’s activities supporting the Sustainable Development Goals (SDGs) and provide a view of mandate policy holders and end users that can benefit from these efforts. 3.1 This Panel session will present Plenary with an overview of GEO’s activities supporting the Paris Agreement. Currently, several GEO activities focus on mitigation, while there is great potential for Earth observations to also support climate adaptation and activities that limit loss and damage. 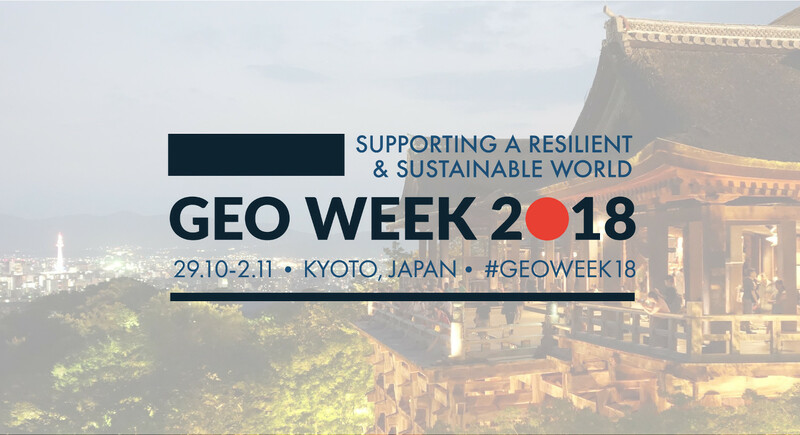 7.1 This Panel session will present Plenary with an overview of GEO’s activities supporting the Sendai Fraemwork. The four phases of the disaster cycle include prevention, preparedness, response and recovery, currently Earth observations are used less for prevention and preparedness where the biggest savings are in terms of lives and money.